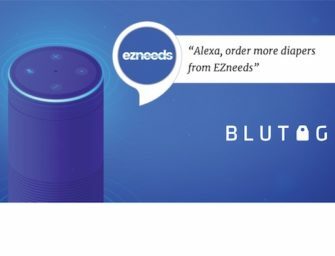 Synaptics (NASDAQ:SYNA) yesterday announced the acquisition of Amazon Echo microphone supplier Conexant Systems LLC for about $340 million in cash and stock. Conexant is known in part as one of two Amazon recommended suppliers for microphone and far-field voice recognition development kits for OEMs building hardware that works with the Alexa Voice Service (AVS). However, Amazon more recently announced its own 7-mic far field voice solution for OEMs so Conexant is now competing with its patron. Synaptics is a technology component and software supplier with a $2 billion market cap that is best known supplying Apple with its touch interface solutions for iPhones and iPads and laptop touch track pads. The company has expanded into biometric fingerprint identification and recognized that voice interaction will begin to infringe on the current dominance of touch-based interfaces. Clearly voice has turned the corner. We are happy we picked up a leader here. In Amazon’s Echo reference design, Conexant is the company they recommend for 2- and 4-microphone solutions. And they have a host of design wins that are coming to market. In the case of Marvell they have a very strong position in the home with personal assistants and set-tops and other devices. Synaptics refers to itself as a Human Interface Solutions company. The addition of a voice solution builds on the company’s strength in touch-based technologies. Bergman commented in the prepared announcement that, “These acquisitions provide Synaptics the industry’s broadest portfolio of human interface solutions.” He also indicated that the new acquisitions increased the company’s addressable market by $2.8 billion or 38%. Voice is one of the most exciting and fastest growing human interface modalities today. Conexant, with a portfolio of more than 480 patents granted or pending, is a leading provider of far-field voice solutions with more than 27 million units shipped. Conexant’s voice processing solutions have been featured in more than 60 different products, including a variety of home audio/video applications and home automation devices. We are regularly seeing data about rapid consumer adoption of voice-based technology products. In addition, suppliers are lining up new capabilities to compete in a voice-first world. Touch transformed human-computer interfaces and Synaptics played a role in that revolution. However, the market for touch-technologies is now mature. Yesterday’s Conexant acquisition was about ensuring that Synaptics would have a role in the new human-computer interface revolution: voice.